Selenium is a trace mineral that the human body needs in tiny amounts. It is also an important antioxidant and an essential part of a healthy immune system. An adult needs 55 mcg of the mineral each day. In excessively high amounts, however, selenium is toxic to humans, so your daily intake shouldn’t exceed 400 mcg. Fish and meat are great sources of the mineral, but there are many plant-based foods that particularly selenium-rich. This is great news for vegetarians, vegans and people who want to limit the amount of meat they consume. 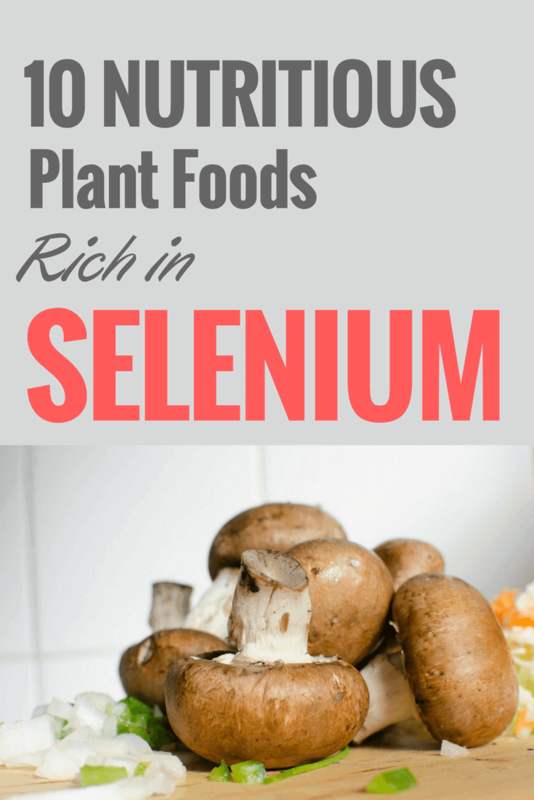 As an alternative, here are 10 nutritious selenium-rich plant foods. Brazil nuts are large white kernels with a rich, creamy, and sweet taste. They come from an evergreen tree that grows along the rivers of South America. Although they are considered to be particularly high in fat, most of their fat content consists of omega-3 fatty acids, which could help you keep your cholesterol levels low. Brazil nuts are also a superb plant source of selenium. A single serving (about six to eight kernels) could contain a spectacular 544 mcg of the mineral. Although this may vary significantly, it is more than you need, so eat them in moderation. Brazil nuts are ideal for a quick but satisfying snack any time of the day. They can also add a crunchy texture to your favorite baked goods. Rice can be much more than a side dish. In fact, this is one of the most important foods in many parts of the world, especially in Asia. While white rice undergoes a process which results in a substantial loss of B-complex vitamins and minerals, brown rice has only the tough, external hull removed. That means it retains most of its nutrient content, (including dietary fiber, potassium, phosphorus, and trace minerals). Brown rice is a concentrated source of selenium with one cup of cooked rice providing 19.1 mcg of the mineral, which translates into a substantial 27.3% of the DV (Daily Value). It is also rich in phytonutrients, such as ferulic acid. This antioxidant is a free-radical scavenger and protector of human cells against radiation-induced oxidative damage. Crimini (or Cremini) mushrooms look quite similar to the common white button variety but have a darker brown color. These mushrooms could be much more than a simple side dish or a salad ingredient. Their exceptional nutrient content and low calories (a mere 31 per cup of mushrooms) make them a perfect addition to your weekly meal plan. They are an excellent selenium source, with a single serving providing about 37 mg, which is more than half the DV. Crimini mushrooms are also a wonderful source of several B-complex vitamins and offer a well-rounded mineral content; apart from selenium, zinc, copper, manganese, magnesium, potassium, iron, calcium, and phosphorus are all present in these amazing mushrooms. Mustard seeds are a member of the Brassica family of vegetables. They are related to other cruciferous vegetables, such as broccoli, Brussels sprouts, kale, and cabbage. That means that they are, nutritionally speaking, in good company. These plants contain glucosinolate phytonutrients, chemical substances with surprising anticarcinogenic properties. Mustard seeds are also full of antioxidants, including flavonoids, carotenoids, and of course, selenium. In just two teaspoons of mustard seeds, you will find 10 mcg of the mineral (14.2% of the DV). They are also an excellent source of omega-3 fatty acids and tryptophan. Other minerals, such as phosphorus, calcium, magnesium, and manganese, can be found in sufficient amounts as well. Oatmeal is probably one of the healthiest breakfasts you can have. It is a fantastic source of fiber, with both the soluble and insoluble kind present in a good ratio. Oats also contain beta-glucan, a type of polysaccharide that lowers cholesterol levels and decreases the risk of heart disease. Moreover, a cup of whole grain oats will give you 19 mcg of selenium. This superb cereal grain is also a rich source of manganese, and a good source of phosphorus, potassium, thiamine (B1), and magnesium. Oats are also highly recommended for their low glycemic index, which means they have minimal impact on blood sugar levels. You can enjoy your oats in numerous ways, including with yogurt, together with fruit in cereal bars, and in various baked goods. These “painted” appear pink or beige with reddish spots and streaks. When cooked, however, they turn a pleasing reddish-tan color. Pinto beans are quite popular in the American Southwest as well as in Mexico. They are inexpensive and readily available dried, cooked, or canned. All types of beans share a similar nutritional profile and offer the same health benefits, but pinto beans stand out from other varieties because they are higher in selenium. A cup of cooked beans contains roughly 15% of the amount of the mineral you need on a daily basis. Pinto beans are also an excellent source of folate and a respectable source of iron, magnesium, phosphorus, potassium, copper, and thiamine. You can serve pinto beans with rice, pureed, refried, or in chili. Shiitake is a dark, umbrella-shaped variety of mushrooms native to Japan and Korea. They are well-known for their distinct woody flavor, but also for their surprising health benefits. Shiitakes are one of the best plant sources of selenium, since a cup of cooked mushrooms offers a spectacular 51% of the Daily Value, that is, about 36 mcg of the mineral. These wondrous fungi also contain other minerals in various quantities, including magnesium, phosphorus, manganese, zinc, and copper. Furthermore, they are rich in vitamin B5, and a good source of riboflavin, niacin, vitamin D, and folate. You can find Shiitake mushrooms in both fresh and dried forms, and they are great for stir-fries and other Asian dishes. Sunflower seeds might just be your next favorite healthy snack. They are an extremely nutrient-dense food, easy to carry around and really fun to eat even by themselves. They also taste great in salads, stuffing, or yogurt. Sunflower seeds contain approximately 21.4 mcg of selenium per quarter of a cup. That’s a decent 30.6% of the DV. In addition, they are an excellent source of vitamin E. Selenium and vitamin E make up a powerful antioxidant combination that protects cells from free radical damage and, consequently, from degeneration and disease. Moreover, sunflower seed kernels are rich in protein and fiber. Their mineral content also includes potassium, magnesium, and phosphorus. Tofu is a highly nutritious food made from soybeans. Originally discovered by the Chinese, it is a standard ingredient in many Asian cuisines. This particularly protein-rich food is a great addition to any well-balanced diet, vegan or otherwise. It is also a decent source of selenium. For every serving of four ounces (113.4 grams), tofu gives you 10.1 mcg of this important mineral (14.4% of the DV). Other minerals present in good amounts include calcium, magnesium, phosphorus, manganese, and copper. These minerals are essential for bone health. Tofu has a rather neutral taste, but this isn’t necessarily a bad thing. 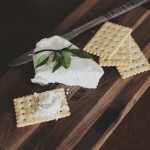 This extremely versatile food can bring out the flavors of other ingredients and you can use it in both savory and sweet dishes in many creative ways. Whole grains are a great sources of a wide range of essential nutrients. They provide fiber, protein, complex carbohydrates, important phytochemicals, vitamins, and minerals. Among them, whole wheat bread is the best option for increasing your selenium intake. A single slice of bread contains 11.3 mcg of this essential mineral. That might not seem like a lot, but it makes up for 16% of the DV. Whole wheat bread is also a source of calcium, iron, magnesium, phosphorus, manganese, zinc, and copper. To make the most of this food, consume it daily in moderate amounts. Make a habit of checking product labels for ingredient listings to make sure a product is made from whole grain. It is worth noting that the selenium content found in plant-based foods varies greatly depending on the richness of the soil in which they grew. Nevertheless, by eating more of these 10 foods on a regular basis, you ensure that your body gets not only the selenium it needs but several other essential nutrients as well. A well-balanced and varied diet is the key to improving your overall health while preventing illness.